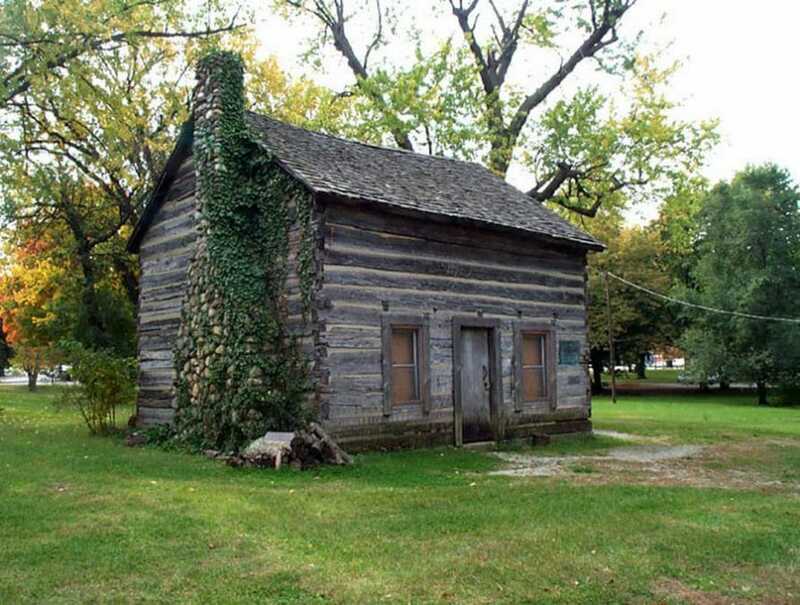 In northern Indiana sits a cabin built by South Bend’s first European settler, Pierre Navarre. As a fur trader and American Fur Company agent, Navarre built relationships with area businessmen and tribes, including the Potawatomi. Pierre moved from Monroe, Michigan, to present-day northern Indiana in 1820 and married Kis-naw-kwe, the daughter of a prominent Potawatomi headman. Kis-naw-kwe was baptized and took the name Angelique, and Pierre maintained their trading post out of the cabin near the St. Joseph River. “From this store, Pierre Navarre traded silk ribbons and other things after the French Revolution to the local people. That’s why the Pokagons always called South Bend Zenba Odanek (Ribbon Town),” said Barbara Ann Warren, longtime South Bend resident. Warren’s mother was a member of the Pokagon Band of Potawatomi. She grew up learning about her Navarre family’s influence. Pierre not only held a reputation for being a fruitful entrepreneur, but he also signed several treaties with the federal government, including the infamous 1833 Treaty of Chicago that ceded large tracts of Potawatomi land. “His experience and rapport built with tribes during his time as an agent of the American Fur Company really helped develop the post into a successful business,” Norton added. As a result of treaties and federal policies, the government removed Angelique and other Potawatomi west of the Mississippi River, and Pierre followed his family to the new lands. Shortly after arriving on the new reservation, Angelique fell ill and passed. Pierre returned to the Great Lakes region by 1850, but he did not reside in the cabin, which had fallen into disrepair. However, his descendants continued the Navarre legacy within the Potawatomi communities across the country. The South Bend community has come together over the last century to ensure the cabin stands for generations to come through renovations and upkeep, and Pierre’s impact across South Bend is still visible today. “The family name ‘Navarre’ is so honored here that we have a middle school, an elementary school, a pediatric office and streets named after the family,” Warren said. In fact, the University of Notre Dame features Pierre’s grave at its entrance. She recommends visiting the cabin at its current location in Leeper Park as well as exploring other sites across northern Indiana that hold Potawatomi history. For more information on the Navarre cabin or to schedule a tour, visit historymuseumsb.org. Read more about CPN’s history at potawatomiheritage.com.